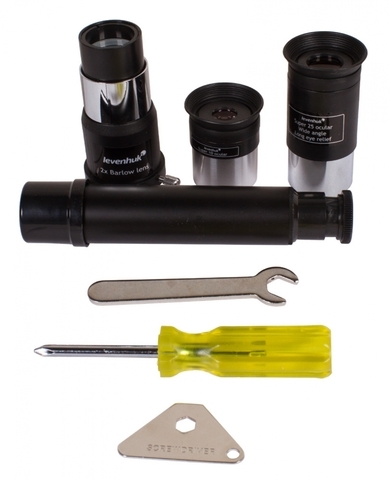 Levenhuk Skyline 120x1000 EQ is a Newtonian reflecting telescope. Its mirrors produce no chromatic aberration, which may be especially noticeable during observations of brighter objects with a refracting telescope. The long focal length of this telescope makes it the perfect choice for observations of planets, features of the lunar surface and binary stars. The large, 114-mm primary mirror gathers so much light (2.25 times more than its 76-mm counterpart) that this telescope produces very detailed views of bright deep-sky objects. 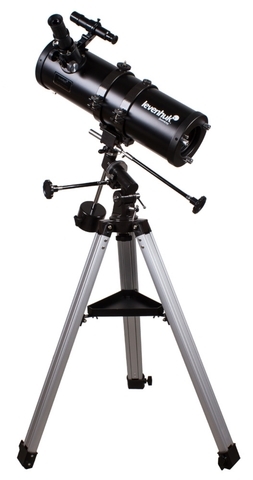 Additionally – thanks to the capabilities of this telescope – you can even try your hand at astrophotography. The equatorial mount that comes with Levenhuk Skyline 120x1000 EQ makes this telescope even more practical and precise. 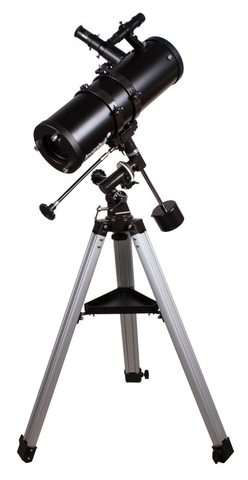 Overall, this instrument will make a wonderful addition to the equipment of any amateur stargazer.